Modify and Send Packet. Software developers testing their application are able to capture a packet, quickly modify it to test the various needs of their application and resend it on the network. Packet Generator. The Packet Generator allows users to create a packet for test purposes and send it on the network to test it. The types of packets that can be created are ARP, Ethernet, ICMP, IP, TCP or UDP based. 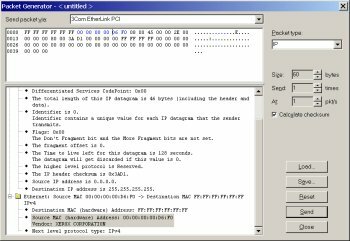 This feature is designed for software engineers to test out their own proprietary protocols by simulating particular situations and for system administrators to check for security holes in their network. Discover Hosts. Discover Hosts allows you to quickly run a report of all the systems that are currently up and running on a particular network or network segment. Hosts are first discovered through pings and all discovered hosts are then queried using SNMP and other IP application protocols to see if any of these hosts are HTTP, FTP, POP, IMAP or SMTP servers, routers, bridges or switches. Name resolution is also attempted on all discovered hosts. 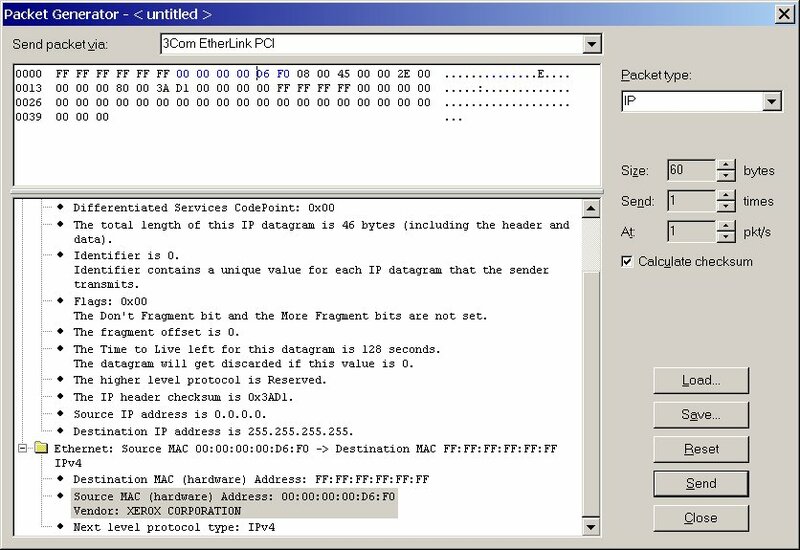 TCP Port Scanner. The Scan TCP ports tool allows you to scan one or a range of ports on one or more systems to find out which ports on that system are open and do not have a session currently established. This tool will report whether it has found a port open or was unable to connect to the port. TCP and UDP Connections. This utility shows all the currently open TCP and UDP ports and reports on the status of the TCP ports. WhoIS. The WhoIs Utility allows you to find out whom a domain name or IP address is registered to. TraceRoute. TraceRoute allows you to find out the route that a packet will take to get to its destination. Normally TraceRoute uses ICMP packets to do this, you can however select to use UDP packets instead. Ping. The Ping program is useful to find out whether a system is reachable directly from the computer that is running the Network Monitor.